When you register, make sure your name is not inappropriate. Let's keep the site clean. After being accepted, all members are expected to get a picture. An icon, or something for your profile. This icon can be a celebrity, or anime, or anything. You just need an icon. Although, I would prefer it has something to do with the academy. This site is rated PG because I allow only MINOR SWEARING. So nothing dirty. After being accepted, and selecting your icon, you need to sign up for classes. This will in no way effect your membership on this site. It is only a way to meet new people. There will be a form to sign up for your classes when available. If you have completed the above steps, and your following the rules, you are a full member. Go ahead and post any where you'd like and have fun! Meet new friends, and discuss the books. If you need help, pm me, Fall. Do we have to be nice? well, dont hysterically cuss at least. lex and i just kicked each other in the back (literally), and acted pretty snotty so free pass i guess. 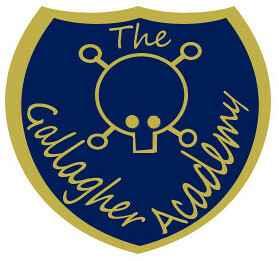 “Women of the Gallagher Academy, who comes here?" she asked. Just then, every girl at every table (even the newbies) stood and said in unison, "We are the sisters of Gillian." Why do you come?" my mother asked. To learn her skills. Honor her sword. And keep her secrets." To what end do you work?" To the cause of justice and light." How long will you strive?" no not like that i meant u could use crap.